Michael J. Farrell is consistently recognized as one of the best commercial litigators in Arizona. Mike's practice includes all financial services, real estate, trusts, business torts, contract disputes, and labor and employment matters. He has extensive trial, arbitration and appellate experience throughout the United States. Mike is licensed in three states - Arizona, California, and New York, and is known for effective and efficient representation in all manner of complex litigation. 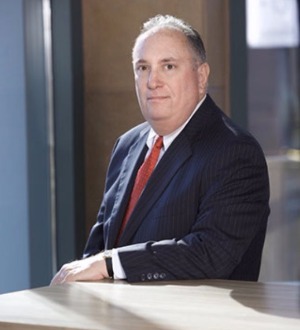 For the past several years, Mike has been recognized as one of the "Best Lawyers" in America, currently sits on the Civil Rules Committee for the Arizona State Bar, and routinely speaks on changes to Arizona substantive and procedural law. Following a federal judicial clerkship, Mike started his career as associate at the New York office of Sullivan & Cromwell PLLC. Mike was a partner at Jennings Strauss & Salmon PLLC and at Stinson Leonard Street PLC before starting his own firm with Maureen Beyers. Mike has represented national banks in numerous deficiency actions and fair-market value proceedings, represented a Fortune 100 investment bank in litigation involving tax shelters, represented banks in fraud case against a title company and others, which resulted in one of the largest verdicts in Arizona. Mike has also represented Fortune 500 companies, investment banks and accounting firms in securities fraud cases, represented Fortune 100 companies in federal litigation concerning corporate merger and acquisition, defended a Fortune 100 company in connection with extensive federal investigations regarding immigration, labor and tax issues, represented Fortune 500 companies in patent litigation regarding nanotechnology, represented investment banks in connection with several multi-billion dollar bankruptcy proceedings, represented a high-technology company in breach-of- contract litigation, represented a national paint manufacturer/distributor in antitrust litigation, represented a Fortune 500 furniture manufacturer/distributor in antitrust litigation, and has been trustee in over 400 commercial foreclosures and residential foreclosures.